NSA & Microsoft – Going Down Together? 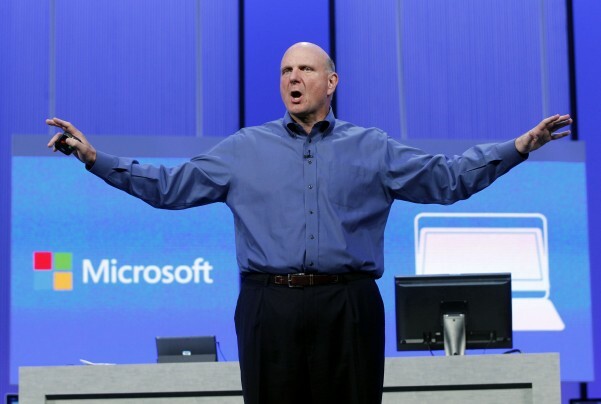 Steven Ballmer who took the reins of power from Bill Gates, is leaving Microsoft in terrible condition. He raised the price of software tremendously where previously you could install a program on 5 PCs, now it is the same price for just one. He allowed the company to get in bed with the NSA and that has ruined its reputation and trust factor internationally. What he did with Windows 8 was simply over-the-top. Microsoft was losing market share to Apple and Google to begin with. Windows 8 was supposed to compete but it allowed the NSA to stick its hands in their pocket. Buying Skype and then changing it from a secure system to one that goes through their system allowing it to be recorded by the NSA was just too much. Anyone doing serious business cannot now use the system. In July, it took a $900 million write off for its Surface units that have been a flop. Ballmer may have met Bill Gates back in school, but he blew it with the Vista operating system, missed the phone market predicting in 2007 that the Apple iPhone would fail, and now letting in the NSA that has led even NASA to dump windows. Microsoft was once the target of being broken up as too big under the Anti-Trust laws. Today, it is in a downward spiral from which the NSA may prove to be its complete downfall. Congress is brain-dead and are still backing the NSA blind to the fact that they are destroying both freedom and the economy.